Welcome to the Kalpadeep Holidays organized tour to North-East India tour. On arrival at Guwahati airport/Rail. Station you will be received by our representative who will be waiting for a warm welcome just outside of the airport (customs area) / Rail. Station by your nameplate /your referral and Proceed for Shillong (103 km), the capital of Meghalaya, the Scotland of the East. Swaddled amidst wraith-like mists is aptly called the abode of the clouds. It is one of India’s prettiest and youngest states (the 21st.) having split away from Assam in 1972.Standing out amongst the other states, for its unique traditional and natural beauty. On the way we will take a break for a lots of fun & entertainment with the boating/water sports in incredible Umiam Lake. From here shillong is just 17 kms. On arrival Check into hotel. Relax and evening take a glance of shillong Bazar which open till around 8.30 pm. Back to hotel. Today after breakfast drive to Cherrapunji 56 km which experiences the heaviest rainfall in the world. 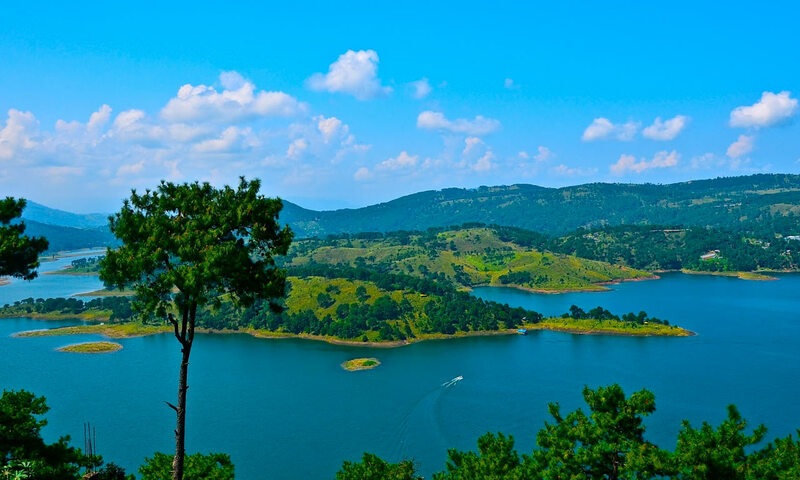 Cherrapunjee, locally and officially known as Sohra, and a “must see” destination for all tourists. it was the headquarters of the Khasi/Jaintia province during British rule which was however shifted to Shillong in 1864, due to the inconvenience caused by excessive rain during the monsoon months. The average rainfall is 12,000 mm a year and the record for a single day was 2455 mm recorded in 1974 confirming it as the “Wettest place on Earth”. Cherranpunjee is impressive with its gushing waterfalls and the deep gorges. You will get stunning views of the plains of Bangladesh. Close to town are the glorious Nohsngithiang Falls( Mawsmai Falls), Dainthlen Falls, Nohkailikai Falls ( World’s forth hishest) and many small waterfalls. Also visit Mawsmai Cave-6 km from the cherranpunji market to the south lies the village of Mawsmai in the direction of Bangladesh border. Back to Shillong. Enjoy your Dinner. Overnight stay. Today after early buffet breakfast/ with packet breakfast proceed for Kaziranga national park ( 350 kms/around 7 hours). Kaziranga National park is the oldest national park in Assam, situated in the south bank of the Brahmaputra River, is famous for its great Indian one-horned rhinoceros, of which there are aplenty. Spread across 430 sq km. An elephant ride(Dec-May) in the national park gives a thrill with the view of great Indian one-horned rhinoceros, swamp deer, wild elephant, tiger, leopard, Buffalo, wild boar and many more. It is a dazzling mosaic of dense rain forest, tall elephant grass and swathes of reeds interspersed with vast tracts of marshes and shallow pools that are a favorite haunt of this celebrity pre-historic beast. Night stay in a nature resort makes the tour incredible specially when a traditional cultural programme is organized by amazinghimlaya.com On arrival check into resort. Evening free to enjoy resort surrounding area and night halt. This is the closing time of forest. So you will unable to enjoy any forest activity. Overnight stay. Today after breakfast drive to Cherrapunji 250 km, which takes about 6 hours. Guwahati -situated on the southern bank of the mighty Brahmaputra river in Kamrup district of Assam, Guwahati is a fast growing premier city .It is the gateway to the North eastern states of India and a principal centre of socio-cultural, political, industrial and trade and commerce of the entire region. If time permit: After refreshment visit Guwahati Zoo- largest collection of wildlife and mammals in Assam & here one can take a look great Indian one horned Rhinoserous. We will request our respected guest to maintain the schedule time because If time permit a River cruise on the mighty Brahmaputra is a wonderful opportunity to get a feel of this legendary river. Back to hotel and evening enjoy the wide verity of delicious dinner. Overnight stay. As per train/flight schedule departure time after breakfast with many wonderful memories drive to Guwahati airport / Rail. Station (5.5 hours). Today is the farewell day of your magnificent tour.